This entry was posted on May 19, 2013 by Russell Smith. 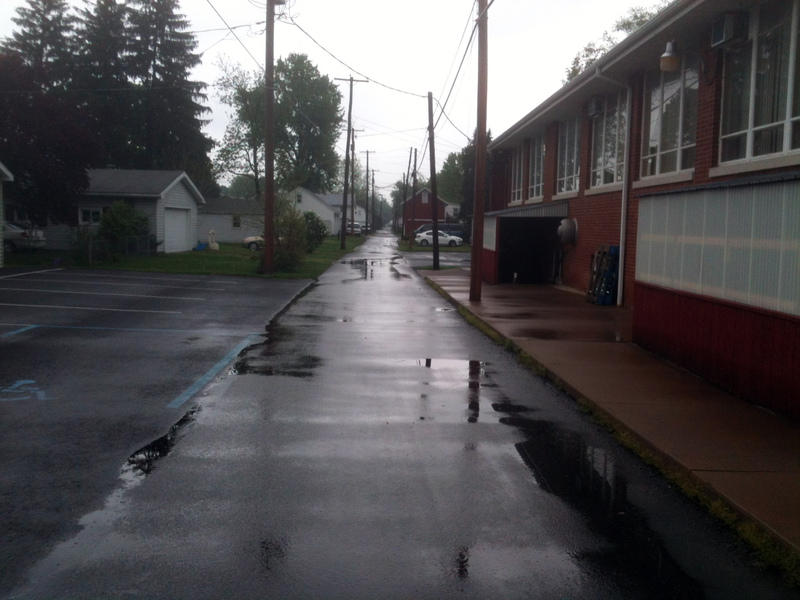 It was filed under Russell Smith, Street, Urban and was tagged with cars, deserted, pavement, Pennsylvania, puddles, Russell Smith, Selingsgove, structures. I’m looking for the alley cats! They’re to sly to be captured on film! And they’re busy hunting birds and bunnies!